Barr Residential & Development, LLC is a property management company, located in Myrtle Beach, South Carolina. BRD was formed to provide owners with a management company that is dedicated to increasing cash flow, improve resident satisfaction, and maximizing the value of assets through a “Service First” approach to property management. BRD is exclusively a fee management company, positioned for expansion, drawing from a dedicated pool of property management professionals. Accordingly, we recognize our success is totally dependent on the quality of service we provide our clients. Our “Service First” approach has enabled us to successfully turn around thousands of units of distressed apartment communities with little or no new capital. Collectively, with over 35 years of experience, we know that positive results follow only when a high value is placed on customer satisfaction. In order to maintain customer satisfaction, we rely heavily on people and technology. We will never accept anything less than the highest level of quality at every position, from the executive suite, to district manager, to site manager, to resident services coordinator, to groundskeeper. Equally important is our belief that technology, properly used, can reduce the distance between the owner and management agent, and executive management and the site personnel. Maintenance and Management of Physical Asset: We make regular site visits to your property that include a review of property repair policies and procedures, employee performance, training needs, replacement and capital needs, building/grounds maintenance, contract performance, leasing activities, market analysis, resident communication, retention, satisfaction and services, curb appeal, review of work order scheduling, and preventive maintenance scheduling. Monthly sessions will be held with the site staff to analyze on going expenses through the art of “Process Review for Improvement. Additionally, we have experience assisting owners with the process of property rehabilitation and major renovation. Marketing Performance: All properties enjoy on-going marketing analysis and marketing plans to ensure your property is getting the best possible occupancy and rent performance. Employee Training: We have a comprehensive training program that includes initial and on-going training for all employees. This includes an annual training conference that keeps our employees on the cutting edge of industry changes and trends. Experienced Senior Management: Our senior management has many years of executive level experience in the property management field. We have experience in all types of residential property management including conventional, subsidized, and tax credit multi-family properties. Management Accounting and Budget Preparation: We use sophisticated budgeting process that compares year to date actuals to budget and forecasts the remaining fiscal year. Special analyses are completed on rent increases, vacancies, apartment turnover, payroll and staffing, utility consumption, escrows, replacement and capital needs, adequacy of property reserves, and projection of surplus cash. Reviewing the prior two years of actual income and expenses and the current years forecast and budget, the upcoming year is budgeted plus the projections for the next nine years. Employee Recruitment and Screening: Barr Residential & Development will attract, screen, and evaluate the best site personnel for your property. We thoroughly screen and evaluate your site staff. The result is some of the best and most qualified employees in the business. Financial Reporting and Transparency: Provide you with transparent, real time information about your properties financial condition utilizing modern computer technology. We use field tested, industry standard computer software at the site level for data entry of receivables and accounts payable, which are in-turn linked to a PC based property management accounting system in the home office. All accounting functions are reviewed by a Certified Public Accountant in our accounting firm. Provides clients with timely accounting reports, which compare budget to actual, for both the current month and year to date. Operating Statements are reviewed monthly and Budget Variance Explanation Reports are prepared explaining any major variance of actual to budget. In addition, BRD will provide Balance Sheets and Detailed Monthly or Cumulative General Ledgers. Special financial reporting requirements can also be accommodated. All financial reports can be provided by the tenth of the month following. Regulatory Compliance: Our staff will help your property maintain compliance with all Federal, State, and Local Laws and Regulations. This includes planning for both REAC physical inspections and HUD Management and Occupancy Reviews. We assist in making sure all tenant files and required paperwork is within current regulatory standards. 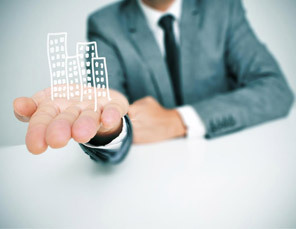 We can discuss how we can meet your property management and multi-family investment and development needs. We hope you will find our web site helpful and informative. Barr Residential & Development looks forward to serving you and your property management and investment needs for many years to come.